Winter holidays are over, it’s time to come back to my daily routine. For instance, drink some tea with an elephant. I should tell that miracles did not leave me with the end of the festive season. So, one bright winter morning I found myself sewing something (or somebody?) with big ears! 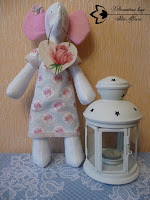 And in a few hours I could introduce my friends to a cute little girl-elephant Sonya. She entered my life all of a sudden as only good friends can do. And asked for a tea at once. “We, elephants, just adore fresh strong tea!” – she said. And I went to the kitchen. Yes, it would be nice to have a good 5 o’clock! Meanwhile Sonya explored her new dwelling. She turned out a curious and restless little thing. Always ready to pop her long nose into every corner, Sonya examined the contents of my jewelry box. She liked my pink pearls best of all. So, I had to turn her attention away of my treasures by pouring her some good Indian tea. 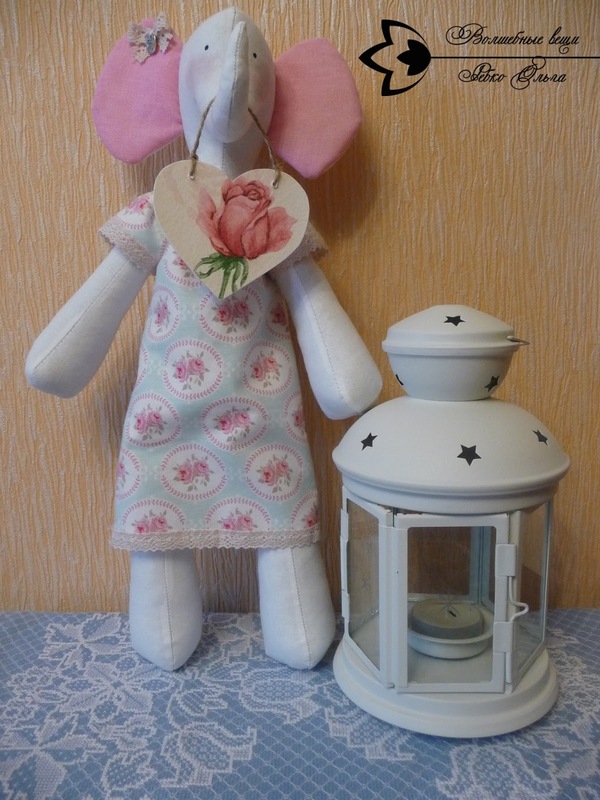 Well, I think, my little guest likes my small workshop very much and is going to stay here for some more time, until she finds a new home and new friends who are ready to pamper her with good tea and play with her.